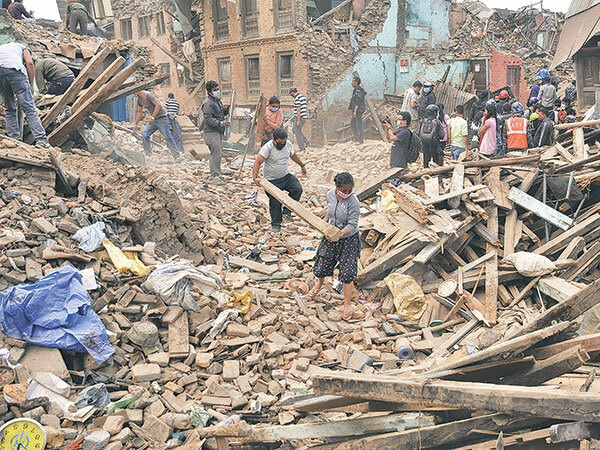 Nepal needs a short and a long-term plan to reconstruct its villages and cities. Even though we always knew that Nepal lies in a seismically active zone, the loss of lives and property we are looking today is largely due to our unpreparedness. At this hour of tragedy, no one to be blamed but still, those who were responsible for developing and maintaining various infrastructures in the country should realize their mistake and take the responsibility. Their inappropriate and unwise actions cost the lives of many people and their properties. This disaster has lots of lessons to offer, but we have to focus on the present and future now. We have to think of ways to how we can make Nepal a safe place to live again. To recover from this devastation, the immediate priority should be relief activities which, though ongoing, is clearly not enough. This is despite money and material pouring in from within and outside the country. Even after a week of the earthquake, people are still living under the open skies and the government seems to be helpless. In addition, there is also a need to think of long-term reconstruction plans immediately. This will help cities, towns and villages return back to normalcy. To do so, separate reconstruction plans should be formulated for rural and urban areas.